Set of 2 - The BOMMA Stone 12.5 oz. crystal water glass has an unforgettable base. Designer Jiri Pelcl has emphasized the contrast between the smooth conical shapes of the body of the glass and massive irregularly cut stems and bases of his pieces, creating an extraordinary composition. 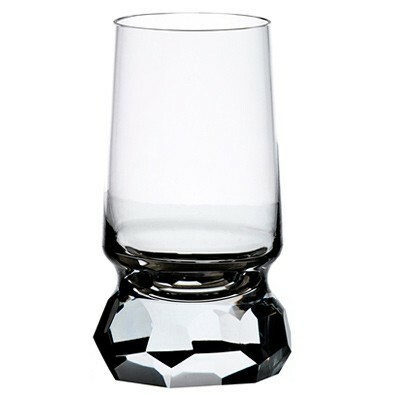 This architectural approach, which is quite original in the luxury glassware industry, gives the Stone collection a unique look, emphasizing its masterful craftsmanship and forcing the user to hold the glass by the cut parts rather than by the body of the piece itself.